Taejah Thompson from the Calgary Dinos is the Female Athlete of the Month for September 2018. Thompson was crowned following a 24-hour online campaign, with the public casting ballots through U SPORTS social media channels. Thompson was the CW first star of the week for the period ending Sept. 23, and finished the first month of conference rugby play with eight tries in just four games. The second-year wing from Fruitvale, B.C., helped guide the Dinos to a convincing 4-0 start to the CW regular season. An Arts student, Thompson leads the conference in scoring, with her 40 points, 17 more than Ali Wicklum of Alberta, who is second in CW scoring with 23 total points. 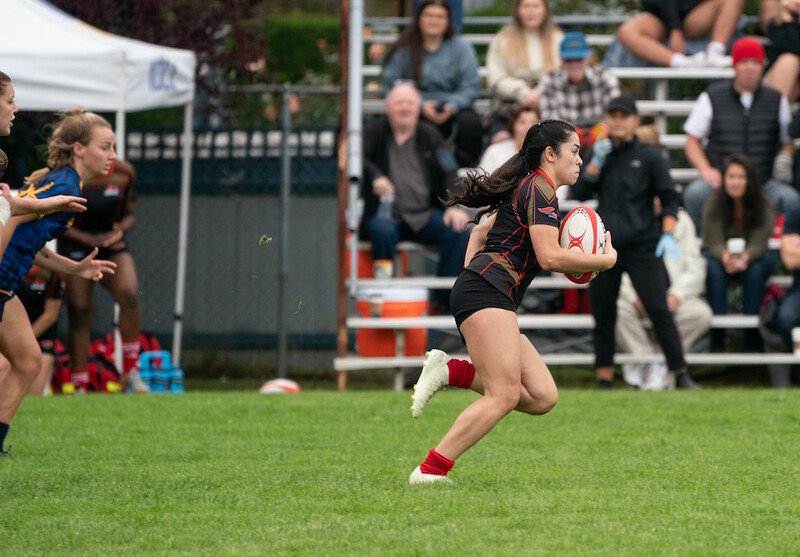 With eight tries, Thompson is five tries clear of teammates Berlyn Seselja, and Kasselle Menin, along with Lethbridge Pronghorn Abby Duguid, for the conference lead.